If you are charged with a crime or under investigation, the legal system can be scary and confusing. 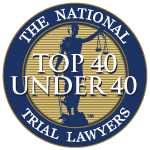 It is important to have a legal advocate on your side with specific experience on how to manage the stages and pitfalls of the criminal justice system in Pittsburgh and Western Pennsylvania. Investigation: Before filing a criminal complaint, the police will attempt to gather evidence of criminal conduct in order to have sufficient evidence to arrest and prosecute. The police may seize physical evidence from the scene of the crime, interview eyewitnesses, or conduct DNA, fingerprint and other forensics testing. If the police develop you as a suspect, they will likely ask you to come to the police station to give a spoken or written confession. Read more about why you should never talk to the police without your lawyer present. Criminal Complaint: When police have probable cause to believe that you have committed one or more crimes, they will file a criminal complaint with the local magistrate, which is the formal document used to institute criminal charges against you. The police can either place you under arrest, or issue you a summons through the mail. Grand Jury: If necessary, the District Attorney's office can seek to investigate criminal behavior by way of a Grand Jury, where witnesses are served with subpoenas to appear and testify. During grand jury proceedings, evidence is presented to the investigating grand jury, who may then bring charges based upon the evidence presented by the prosecution. Warrant: If the police institute charges by warrant, the police may search for you at your home or workplace. An experienced criminal defense attorney can speak with police officers as well as the magistrate to make arrangements to voluntarily turn you in on the warrant, reducing the likelihood of being forced from your home or workplace. Summons: Typically for misdemeanors, police will institute charges by summons, where the Magisterial District Court will send you paperwork, notifying you of the date and time of your next court date, along with the date and time of your fingerprint appointment. Preliminary Arraignment: You will be brought before the local magistrate, where he/she will inform you of your charges and set your bond. You can be given a Release on Recognizance (ROR), Non-Monetary, Unsecured or Cash Bond. Preliminary Hearing: This is the first critical stage of your case where you will need to be represented by an attorney. At the preliminary hearing, the Commonwealth must establish that a crime was committed, and it was more likely than not that you committed the crime. The burden of proof is far less than what is required to prove your guilt beyond a reasonable doubt at trial. If your charges are held for court, they will proceed to the Court of Common Pleas. However, with the services of a qualified criminal defense attorney, it may be possible for your charges to be dismissed or reduced to summary offenses to prevent further prosecution. Formal Arraignment: This is a proceeding where you are entitled to receive a formal reading of your charges from a Court of Common Pleas Judge, and must enter a plea of guilty or not-guilty. It is customary to enter a plea of not guilty and waive your right to a formal arraignment. Pre-Trial Bail Hearing: If you are incarcerated on criminal charges, your defense attorney may file a motion to modify your bond to a non-monetary bail or a reduced cash bond. Pre-Trial Conference/Phoenix Conference: Each county and courtroom differs in its procedures, but the pre-trial conference is designed to have the presiding Judge, the Assistant District Attorney and defense attorney begin preliminary negotiations and discussions regarding your case. In most Allegheny County courtrooms, no conference takes place, but your lawyer and the ADA will pick a date for your trial or plea. Plea Date: The day you enter a guilty plea on one or more of your criminal charges. You have the right to be sentenced within 90 days from your plea date, or may choose to be sentenced immediately after your plea is accepted by the Court. Pre-Trial Motions: A hearing on various pretrial motions may be scheduled in advance of your trial date, or may occur on the date of your trial. Common pretrial motions include requests of additional information from the prosecution, motions to suppress evidence in your case, motions challenging the validity of your arrest, motions challenging the lack of evidence presented at your preliminary hearing. Non-Jury or Jury Trial Date: If you elect to proceed to a trial, you can choose a jury or non-jury trial. With a jury trial, you, your attorney, and the prosecuting attorney will proceed to select twelve jurors and two alternates who will hear testimony, review the evidence, and deliberate before rendering a final verdict. With a non-jury trial, the judge replaces the jury, and will hear testimony, review evidence, and render a verdict on your case. Many plea agreements are negotiated on the day of trial. Sentencing: Typically, a person must be sentenced within 90 days after conviction by the presiding judge. At a sentencing hearing, the judge will review your sentencing guidelines and a pre-sentence investigation report, hear testimony from Commonwealth and Defense witnesses, allow you to give a statement, and then impose a sentence. Post-Sentence Motions: Depending on the circumstances, your attorney may file a post-sentencing motion, including a Motion to Modify Sentence. The court typically has 120 days from the date this motion is filed to render a decision, or it is considered automatically denied. Appeal: Generally must be commenced within 30 days after sentencing or after the court denies a post-sentencing motion. Expungement: A petition filed with the Clerk of Courts in any county where you were charged with a crime that is eligible to be expunged from your record. Eligiblity for expungement depends on multiple factors, and each county has a different procedure for filing the necessary expungement paperwork. For a free consultation, call us today- 412-447-5580.